Going out in the rain or to a beach? Don't worry. 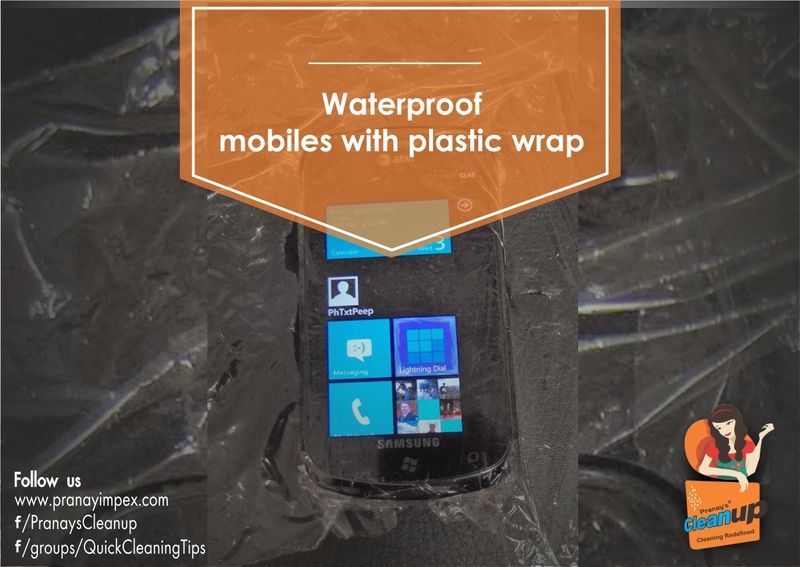 Waterproof and sand proof your mobile by wrapping it in plastic wrap. It helps to keep water and sand out.